Lieue en Grève is the most enormous sandy bay in Northern Brittany, 3 miles wide and the tide goes out for the better part of a mile. Back in the mists of time, the Roman Road left dry land and crossed the sands at St Michel en Grève in the corner of the bay. 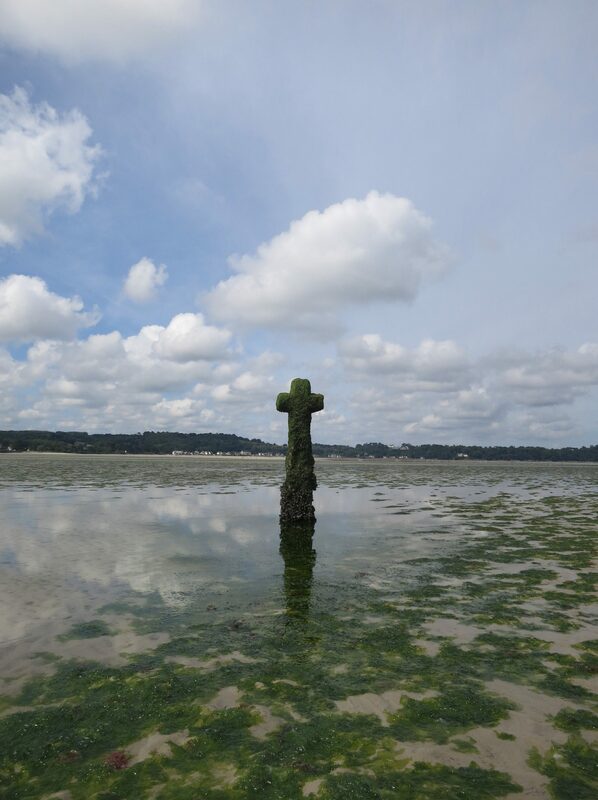 In the middle of the bay stands the Croix de Mi-Lieue, a cross that despite being as tall as me is entirely covered at high tide. If the base of the cross was visible then it was safe to embark on a crossing if not travellers faced a twelve hour wait for the tide to turn. Nowadays the cross makes for a pleasant stroll across the sands and an added diversion to collecting the many pretty shells that scatter the beach. I love this, it is beautiful, calm, peaceful, I would love to make the cross over.